Here I was again, all alone and in need of food. What to do? Go to a fast-food joint and have a burger and fries? Nah, not really all that healthy and no I didn't want to blog about McDonald's (although I do like the Filet-O-Fish!). Japanese? Nah. I can only order so much. Head into Richmond for some Chinese food court action? LOL... right... Oh yeah! My ol' standby - Vietnamese food! But where? I was on Marine Drive and I remembered there is one such place called Saigon Fare Cafe. So off I went. 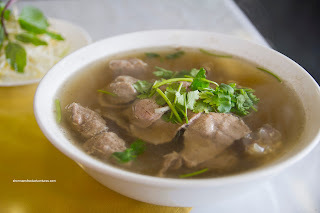 I got the Pho Dac Biet and it was a little rustic in appearance with a light-coloured broth that had some oil droplets. Although not rich in flavour, it wasn't bland either. There was a good balance of sweetness to go with the salt content. I couldn't pick out any particular flavours though. The meats were a bit homestyle as some of the pieces were haphazardly cut (some where thick chunks). With that being said, thy were not chewy though. Not the most elegant Pho, but more than acceptable. As for the Banh Mi Dac Biet, the bun was far too hard and dense. It wasn't as if it wasn't crusty. It was plenty crusty, but hard at the same time. Too bad really because the ingredients were good - lots of tender meats and a good amount of pate. 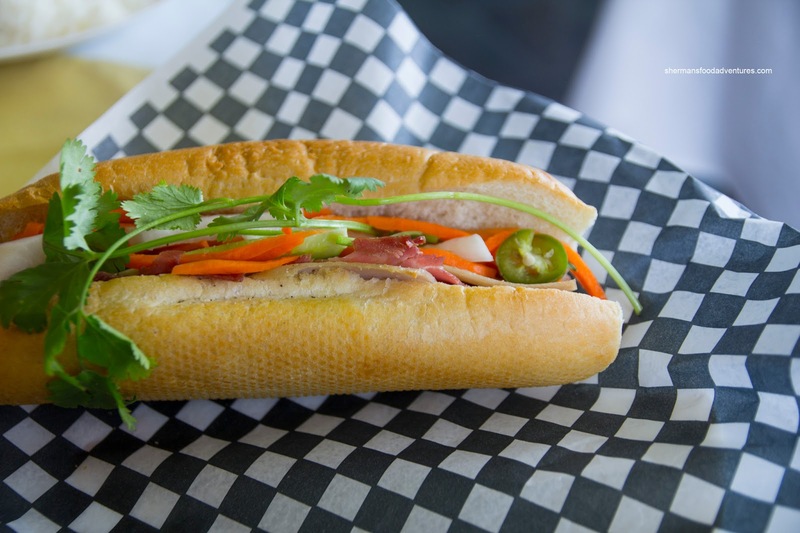 With a decent splash of Maggi and all the usual stuff (pickled veggies, cucumber, cilantro and peppers), it could've been a good sandwich. 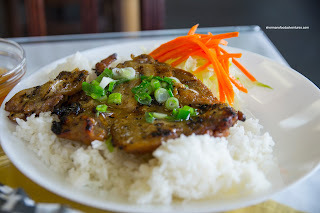 Lastly, I tried the Lemongrass Chicken on Rice (yes, I was hungry, or so I thought). The rice had a nice chewy texture while the piece of chicken on top was really moist and juicy. There was plenty of char on one side which resulted in a nice caramelization of flavours. 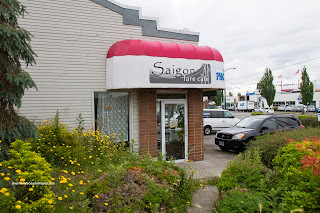 In the end, the food didn't differentiate itself from the bulk of the Vietnamese restaurants in town, but it was decent and of course, well-priced.